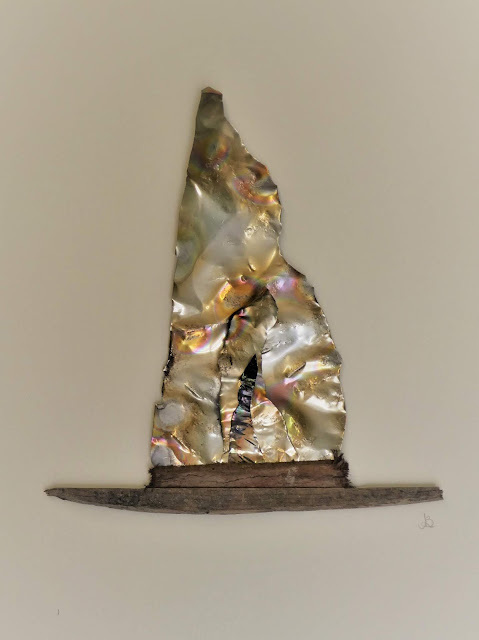 Today's peak at some of the work that will be on show at our exhibition on 24 -25th November in Grantchester, is Can Sail by Audrey Bowling. Making use of a discard can and some driftwood. More of her work can be seen on her website: www.audreybowlingart.co.uk.